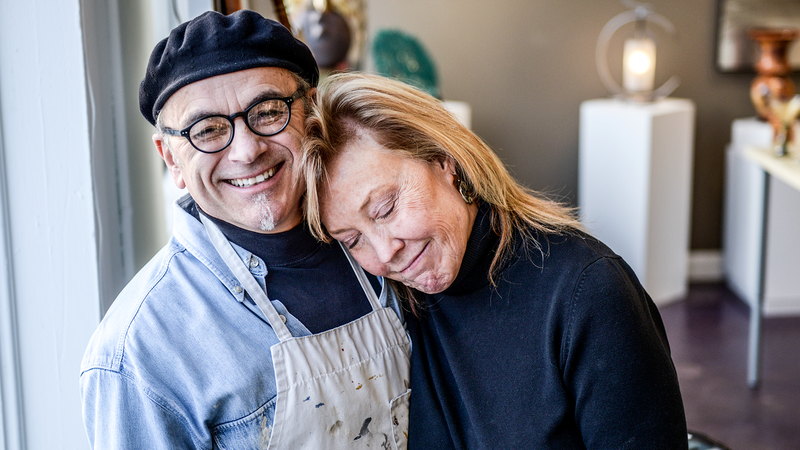 This week, we’re interviewing husband and wife ceramicists Michael and Claudia — owners of Zeber-Martell Gallery and Clay Studio in Akron, OH. While all of their designs, both large and small, are made as a team, Michael does a lot of the work on the pottery wheel while Claudia specializing in the coloring. 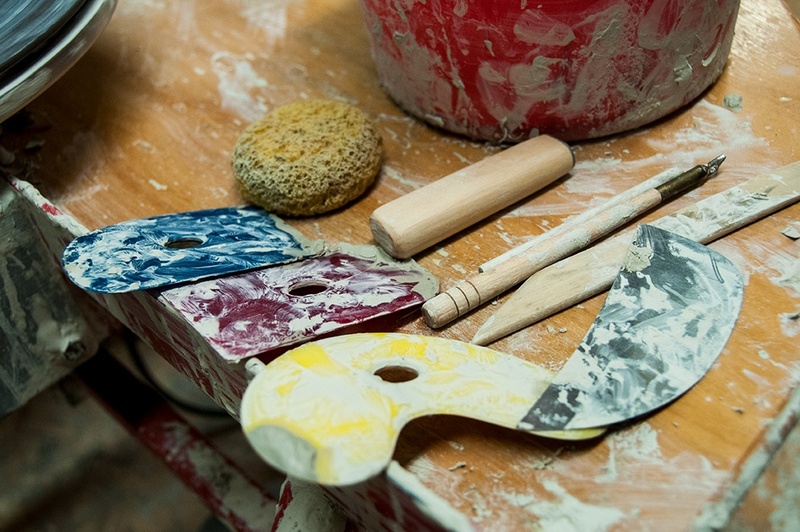 To create a wide range of clay home elements, they need a special type of clay body, carving tools, paints and glazes, and more. If your brand markets to ceramicists like Michael and Claudia, this 1-on-1 interview will give you some important insights into connecting with makers like them. Claudia (C): My name is Claudia Zeber-Martell, and we are artist potters. Michael (M): I’m Michael Martell, the other half, and we do artist collaborative work. Most of it is done here in the studio: the making on the wheel and Claudia finishing it off with glaze or paint. 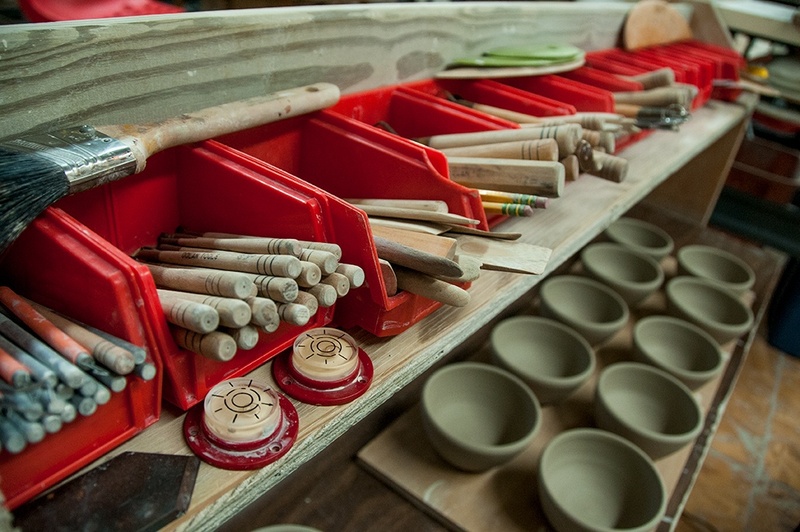 How and when did you start making pottery? M: We go back until about 1975 when we started doing this. Back in that Jurassic age, we were potters, making stoneware, functional kitchenware for everyday use, and the whole process is sort of evolved over a period of time for what we make. C: Our first studio and gallery was called Sunshine Pottery Works so that sort of tells you the timeline of what we’ve done. What kind of research do you do? Even with your level of experience? C: There’s always evolution. If you ever get stuck in that place that you don’t have anything more to learn, you’re dead. I mean, there is always more to learn, and this is one of those mediums that every once in a while, you’ll forget things, and it hits you upside the head and says, “No.” So you’re always learning; you never know everything about art. M: I think it’s the technical part of it, the material itself, that really teaches you how much there is to discover. After doing this now after 30 years, it still feels like we’re scratching the surface of understanding the material. Of course, the design aspect never ends. It’s like building a vocabulary. You keep adding things to it, and you pull out what you need. The longer you do it, the more things you have to draw on. More design ideas, more technical expertise that allows you to do different, better, bigger ideas. What is the process for designing and making one piece of pottery? M: Our process, because everyone approaches it differently, is that we work on everything together. We start by designing a piece, drawing it out, and we have a lot of different ways of coming up with those big ideas. 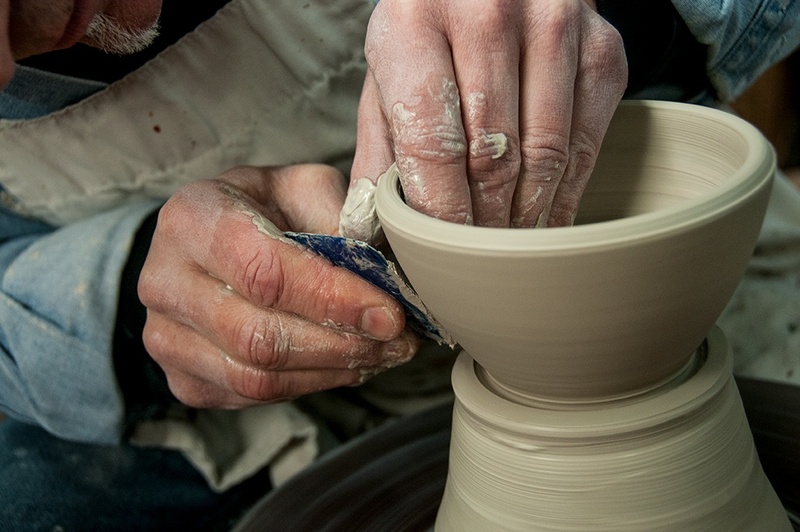 We think about the designs and how they’ll go on the piece, and from that point, it’s made on the potter’s wheel. C: Our pieces are hand-built, and we do a little bit of casting also. A lot of our stuff is wheel-thrown, but we also make pieces for the wall, which we make handmade tiles for. It’s really multi-dimensional. We don’t look at clay anymore as just making dishes and that kind of thing. We make a full line of anything from Christmas ornaments to cups to wall pieces, tables, lamps—we do the whole spectrum of home elements that can be used on a daily basis. It’s really important to us that our work gets used and that it enhances people’s environments. M: The whole idea is to connect to the person that is getting the piece, whether it’s commission or coming in and buying. It’s important to us that we make a connection with the end user, whether it’s a mug that’s something they’re using or they’re enjoying in their home. Sometimes, if we get a commission piece, we really have to sit with the idea a while and develop it. Is it going to be wheel-thrown parts, slab-built, or how much of it is really going to be sculptural as opposed to functional? We’re not quite sure. Some things come automatically, some come quickly, and some just take more time to develop than others. C: It’s a lot of groundwork to figure it out technically first. We know what it’s going to look like, but technically there can be a lot going on. M: Once it goes into the kiln, you can feel like its 90% of the way there, but until that kiln opens up and you see it after the firing, you know if you’ve nailed it. There can always be something that goes wrong. Clay is a material that keeps you humble. Do you use social media to reach potential customers or show off your work? M: As a maker, you have to decide how you’re going to spend your time. I wish we could do everything, but we have to do what we do best. As far as social media and marketing, we do it, but we don’t let it take over. We try to do it as much as possible but if we had our choice, we’d stay in the studio and make. What type of materials do you use and why? C: We both started out as high-fire potters, which is stoneware to start with. I know I went to porcelain, he did salt-glaze pottery for a while. But all the high-fire pottery is very durable for functional use. However, we wanted to use more color, and color burns out at high temperatures other than a few things like blues and copper reds. To get the whole palette, we started reducing the temperature on the clay and went to a white stoneware where we got about twice the amount of colors we got before. Then we decided to go to low fire because we could use all the colors of the rainbow. Low fire is a whole different clay body. It’s harder to make on the wheel than stoneware, but it gave us that whole range of palette that we were looking for. We use stains that we mix up ourselves for the colors. We do layers of color because you can build up dimension and you see through to the other layers. Sometimes, they almost look like glass with the clear glaze over top. M: The surface of the clay has to be a canvas, so it has to be very smooth; there can’t be any imperfections in the surface itself because those will show through. It’s not really forgiving that way. If I’m making something on the wheel, I’m thinking about what kind of design is going to go on there and how it’s going to look. Sometimes I will change the design of the piece, the shape, to allow a design to show up a little better. C: Michael has figured out how to throw a five-foot-tall vessel out of this clay body and he has worked out the technical aspect of doing that. We feel fortunate that we can make some really large, one-of-a-kind pieces that are collector’s items. M: With other artists, you can’t help but talk shop about how to make a living, the pros and cons and frustrations of it all, but it happens in a positive way that’s reaffirming. When we go to shows, we connect with a lot of artists, and most of them have at least 75% of the way figured things out. We’re to the point where we’re almost there, but the challenge is to keep going with changing marketplaces, new technology, and buying habits. The making is one part of it, but there’s a lot of outside influences that challenge this lifestyle. C: I do think very strongly that people are attracted to someone who is passionate about what they do. We’ve all learned how to sell things well, to market well, but what I’m seeing is that since we have so much connection anymore. Nothing makes your heart fuller or your mind larger from connecting to 5 million friends on Facebook. But if you sincerely connect to one person through art, that’s worth it. What's you favorite part of the process? C: Michael loves to throw the pots and that’s his favorite time ever in the whole business. He wears all these other hats too. Let’s get real, an artist’s life isn’t always glamorous; sometimes, you have to mop the floor. But he loves making pots; I love painting pots. His eye for form is incredible, and I work with colors. We’ve both become very astute at using our materials, and when we come together, I think our work is better because of that. We’re both doing the best we can with our separate challenges. What's your relationship like with the source of your clay? C: This clay body we have made for us at a place in Pittsburgh called Standard Ceramics, and there’s actually an interesting story about this. This clay body that we’ve worked with for years, all of the sudden, people were suing because talcum powder supposedly causes cancer. Well, we have talc in our clay body. Once it’s fired, there’s no toxicity whatsoever, but what happened was that the mine that produced this talc, decided that they weren’t going to take the liability and they flooded their mine and closed. So the body was no longer available, and all of the substitutes that they’ve come up with for it have not been good. M: We were stuck because we couldn’t use the old material, and the new material wouldn’t do what we wanted. It didn’t have the plasticity when I was making it, it didn’t have the whiteness when we put the glaze on it. Through no fault of our own, our material disappeared. You fine-tune all these products, chemicals, glazes and whatnot to fit your process. So when you find the thing that works for you, you stick with it. It’s taken us years to develop that, so when we thought that was gone, we didn’t know what to do. 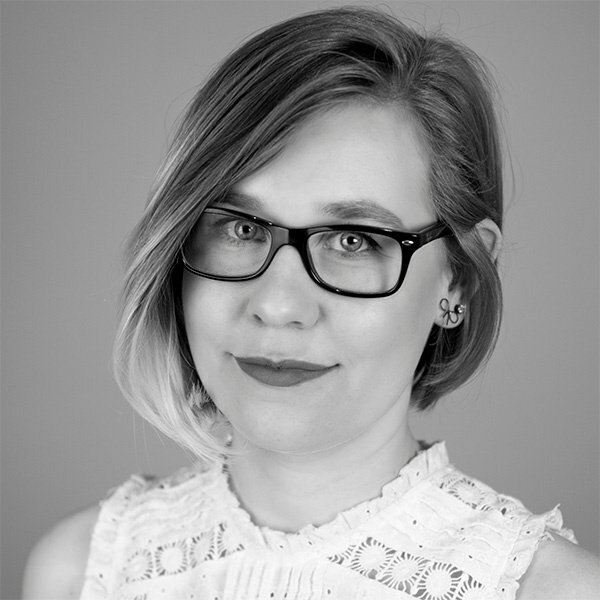 C: We were at wit’s end, and this friend of ours that owns a place in Kent called Ohio Ceramics called us and said, “I found two palettes full of white talc from a company that was selling everything and the first person I thought of was you.” I said buy every bit of it that you can because we want it. Our company in Pittsburgh that processes it and makes the clay for us is storing about 20,000 lbs. of clay for us. We can maybe go through a ton a year. We supplement it too because for the casting we do, that’s a different clay body. Is art a challenge, a relaxation tool, or both? M: I think that’s always one in the same. It’s definitely challenging, and to be good at it, you have to do it all the time without a break. We’re always thinking about new things. But at the same time, to sit down with technical competence, you can relax into it and enjoy it for what it is. It’s work getting to that point, but once you’re there it gives back to you. C: The more you practice your craft, the more that you get a flow. You get in the zone with art, and things come together and the stars are aligning. Other days, it’s just the opposite, but you learn to appreciate those times when the flow is there. M: Coming in every day and being able to do what you want to do or make what you want to make. I don’t think there’s a day that goes by that we aren’t excited to get in here and work. C: And grateful for the opportunity.